Better resolution support, textures, and input support that even a potato PC can handle. Dark Souls has a well-deserved reputation for being punishingly difficult, but also for rewarding you with a sense of accomplishment. 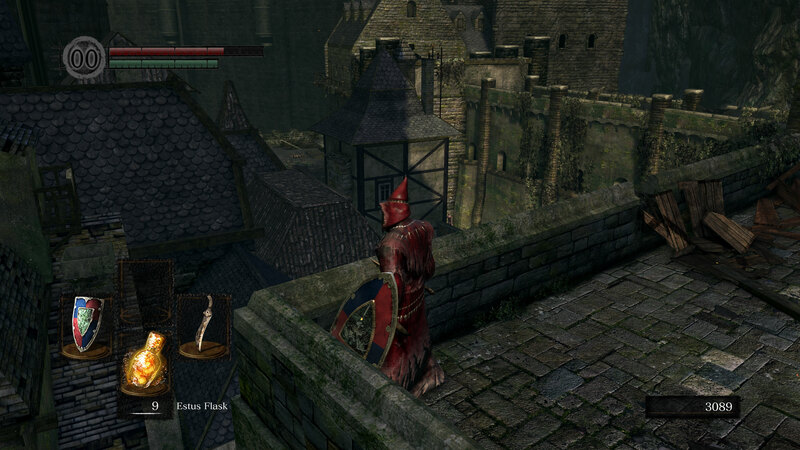 Finally, after six years, Dark Souls Remastered gives us a properly working PC port that doesn't rely on mods to look, control, and run how it should. 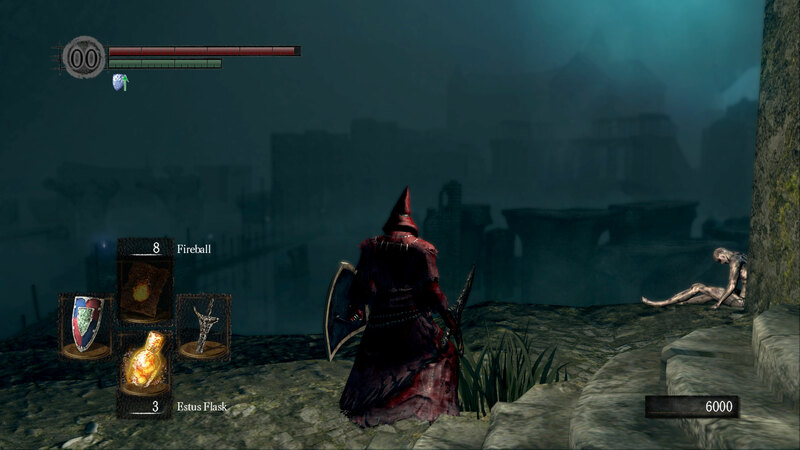 The 2012 PC port was so bad that it took modders like Durante (DSfix) and Methanhydrat (DarkSoulsMouseFix, now Dark Souls Input Customizer) to get the game running decently on PC. 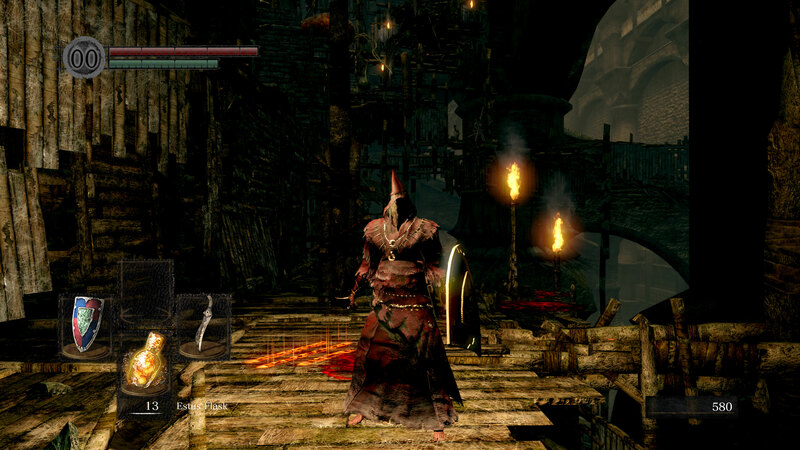 Dark Souls Remastered fixes the resolution support and keyboard/mouse input, and kicks the frame rate to 60fps—still locked, but at least it's not 30fps by default. Textures are also improved, and the multiplayer support has been updated as well. Here's the quick overview of the critical PC features list. Even after six years, there are still some clear concerns. Modding support might happen from the community, but it's not officially sanctioned. The framerate is now capped at 60fps, but you really want to hit a relatively consistent 60fps—I noticed the whole game seemed to run in slow motion at 30fps, and dropping below 45fps starts slowing things down. I'm not even sure what would happen if you were invaded. Also, you'll get kicked from the online component if you can't average more than about 20fps. The graphics options also remain extremely limited. You can choose between FXAA and temporal AA, and enable/disable motion blur, depth of field, and ambient occlusion. Several of these cause a modest hit to performance, see below, but visually only AA makes a noticeable change to the graphics output. Going from max quality to minimum quality only improves framerates by around 20-50 percent, with the larger gains coming on lower spec hardware. 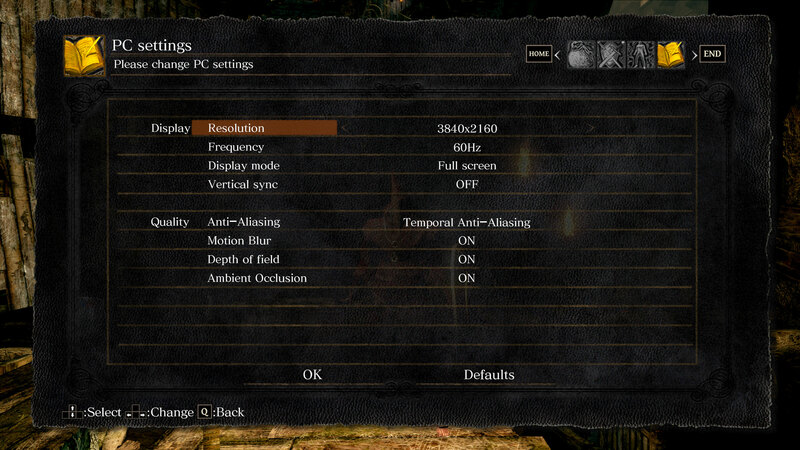 There are four, count them four, settings you can adjust in Dark Souls Remastered. Here's what they do, in terms of looks and performance impact. Testing was done at 4k on an RX 560 4GB (so that the game was running well below 60fps). If you have a faster GPU, you're very likely to hit the framerate cap. Anti-aliasing: Can be set to Off, FXAA, FXAA High, or Temporal AA. The latter is the best at removing jaggies but also introduces blurriness across the entire resulting image. The impact of FXAA/FXAA High is about 6-8 percent, while TAA can drop performance by 12 percent. Motion Blur: Causes the image to blur with movement, and if you turn it off you can improve performance by about 14 percent. This is the largest impact on performance. I prefer this off regardless. Depth of field: Blurs out distant objects, or at least that's the idea. You can see in the screenshots that the effect is quite small, unlike in the original release. Causes about a 13 percent drop in performance, and can safely be left off. Ambient occlusion: Improves the shadows where polygons intersect. As with the others, the effect is quite subtle, and unlike higher quality variants of AO (eg, HBAO+, VXAO, etc.) the performance impact is negligible (about 1-2 percent). You'll want a PC that can handle the remaster at 60fps, but what sort of hardware will that take? I'm not going to bother doing the full performance analysis this round, because it turns out the hardware requirements—even in Blighttown—are quite modest. Here's the short list of cards I tested that couldn't maintain a consistent 60fps in Blighttown at 4k and maximum quality. This is one of the more demanding areas in the game, and I specifically found a spot near the elevator/lift where performance was even lower than elsewhere. Radeon RX 560 4GB: Struggles at 31fps 4k max. 4k min is mostly playable at 45fps, 1440p max hits a steady 60fps, even with a modest CPU (Core i3-8100, Ryzen 3 2200G). GeForce GTX 1050: 4k max is mostly playable, averaging 42fps in Blighttown, and 4k min nearly maintains 60fps with a 59fps average (and 49fps minimum). 1440p max runs at 60fps. GeForce GTX 1050 Ti: Slightly faster than the 1050, with 4k max averaging 46fps and 4k min getting a steady 60fps. Radeon R9 380 4GB: This older generation AMD card is a bit slower than the GTX 1050 but faster than the RX 560, with 38fps at 4k max, and 50fps at 4k min. 1440p max is again smooth 60fps sailing. GeForce GTX 770 2GB: Going back two generations for Nvidia, it's a bit faster than a GTX 1050 Ti: 53fps at 4k max, 60fps at 4k min. So yeah, 3840x2160 was easily playable on midrange and higher GPUs, and even budget GPUs or previous generation midrange GPUs do reasonably well. GTX 780 and GTX 970 and above, or R9 390 and above, all handle 4k at maximum quality and still get 60fps. Drop to 1440p max quality, and every graphics card and every gaming notebook I still possess hits 60fps. But what if you don't have a graphics card? AMD Ryzen 5 2400G with Vega 11 Graphics: The game is mostly playable at 1440p max, getting 38fps, and 1440p min bumps that to 52fps. At 1080p max, a smooth 60fps is again possible. Intel HD Graphics 630: Intel's HD Graphics are often incapable of handling modern games at anything beyond 720p minimum quality. Dark Souls Remastered is clearly a less demanding game, but 1080p is still pushing the limits—21fps at max quality and 30fps at min quality. Dropping to 720p yields playable results, however, with 48fps at max quality and nearly 60fps (with occasional dips in some areas) at min quality. Basically, Dark Souls Remastered removes the final hurdles to a steady 60fps for the vast majority of today's gaming PCs. This goes for the CPU as well. The original Dark Souls Prepare to Die edition really hit a single CPU core quite hard, and you needed a fast Intel CPU (4.5GHz or so) to get 60fps in Blighttown. The remastered version is better able to use multi-core processors, and everything from Ryzen 3 2200G and Intel Core i3-8100 and above manages 60fps (assuming you have a sufficiently fast GPU). I didn't check older CPUs, but the PC already had fewer issues in Blighttown than consoles, and DS Remastered should run even better. What about image quality—does the remastered version look better? Yes, absolutely, though the graphics aren't necessarily state of the art. That's a big part of why even lower spec graphics cards can power through 4k max without choking. I grabbed a couple of comparison screenshots from the original (running DSfix at 4k) and remastered Dark Souls versions that you can see in the above gallery. The Remastered textures are more detailed, and there's less blurring of distant objects. 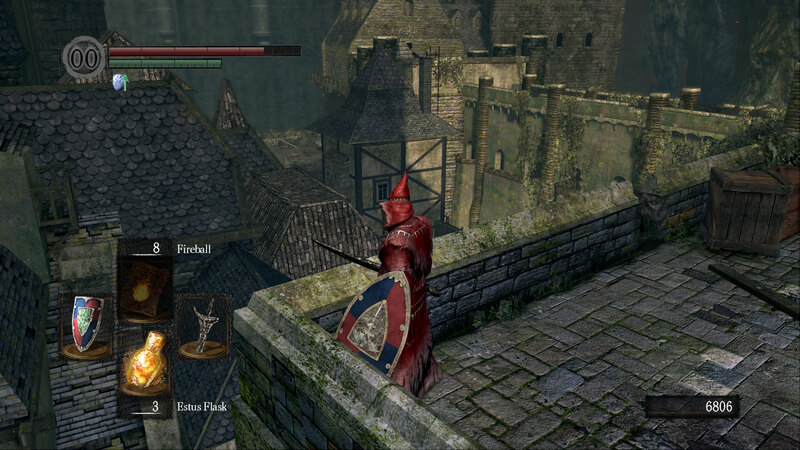 And even seven years later, the world of Lordran is still worth exploring. Those who have already played Dark Souls, particularly with some of the community created texture packs, probably won't find a lot to warrant the asking price. But if you've never played Dark Souls, or if you've been waiting for the definitive PC edition, Dark Souls Remastered is a welcome option. It doesn't fundamentally alter the gameplay, but the controls now work out of the box on PC, whether you want to use a controller or stick to keyboard and mouse. It might almost seem heretical for those adapted to the original controls, but keyboard and mouse work great—and the fact that the game now prompts you with the correct buttons rather than "Press A" controller commands helps a lot. The launch of DS Remastered also means multiplayer is currently well populated, so you can invite other spirits to help you with difficult boss fights, or invade others to try to steal their humanity. And whether you're running the game on a potato or a high-end PC, you should be able to get smooth 60fps gameplay.